Set on the banks of the Rhone River 22 mi/37 km south of Avignon, Arles, France, is where Vincent van Gogh lived and painted during the last months of his life (February 1888-May 1889). The painting of his bedroom in Arles is among his best-known works. The Fondation Vincent van Gogh operates a museum in the Palais de Luppe that pays tribute to the artist whose tormented life ended in Auvers on 27 July 1890. There you can absorb an extraordinary collection of modern art, from Jasper Johns and Robert Motherwell to Henri Cartier-Bresson and David Hockney. But there's a lot more to Arles than the place where Van Gogh lived for a year. 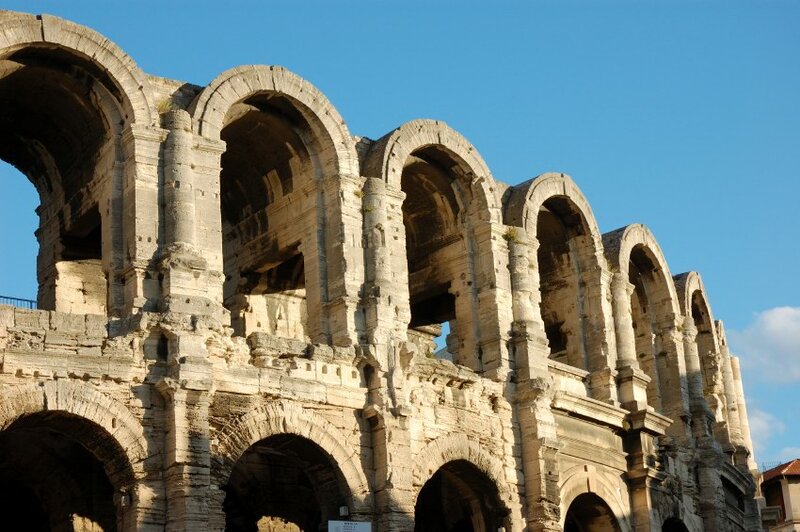 It's been classified as a UNESCO World Heritage site, has one of the most impressive Roman ruins and ampitheater and it's a picturesque city with beautiful architecture with a strong Provencal culture. Arles, in the Bouches du Rhone department of France, is an engaging, walkable city where the Roman ruins have been incorporated within the houses and buildings of the city.